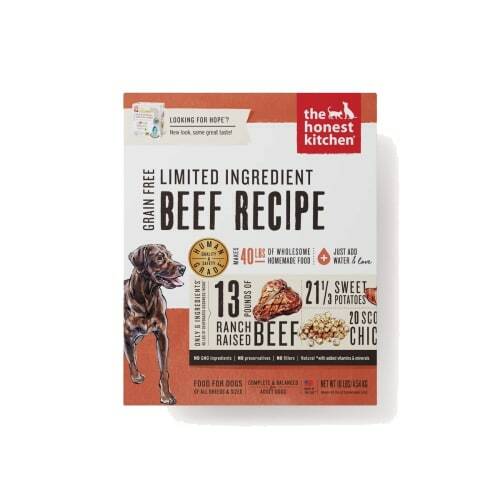 Just like the name implies, Love is a dog food that dogs love! 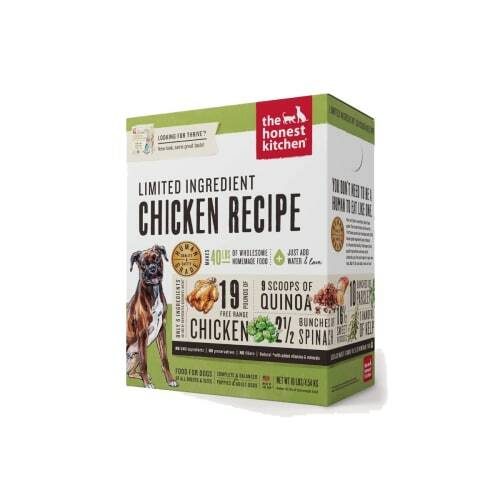 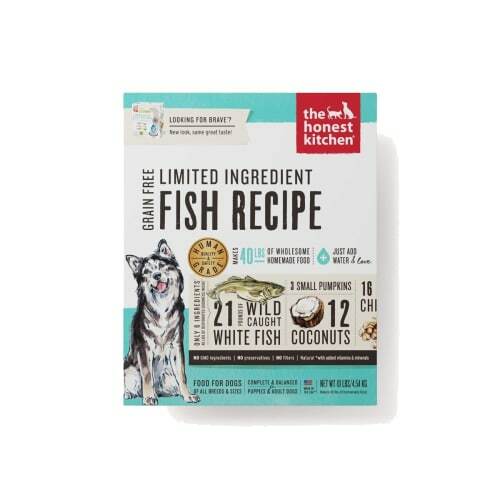 The Honest Kitchen Love™ dog food is a gluten-free recipe made with dehydrated Midwestern beef and produce like sweet potatoes, chard and papaya. 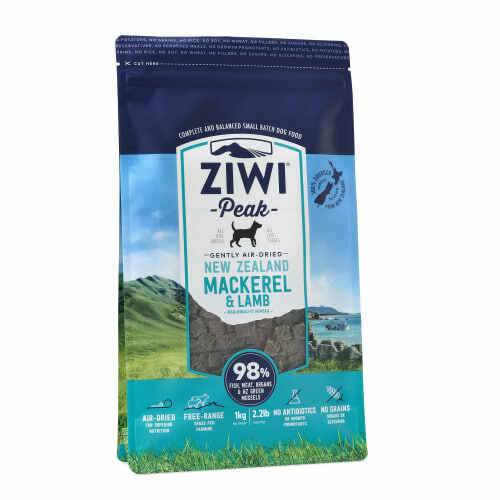 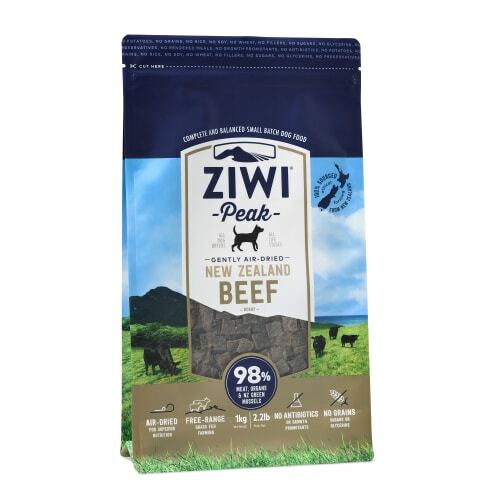 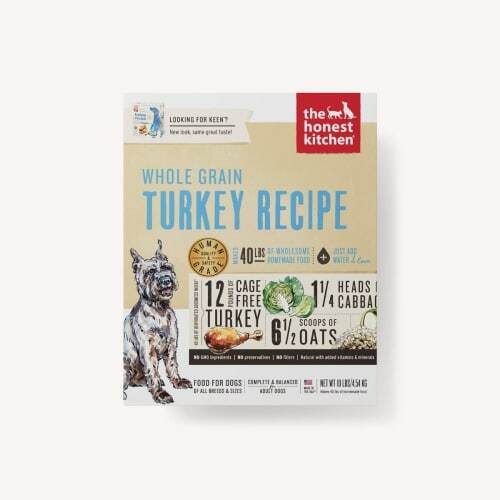 Love dehydrated dog food is a higher protein, higher fat, natural human grade dog food, that’s perfect for all life stages, including puppies, pregnancy and nursing as well as active adults dogs, who need a performance dog food. 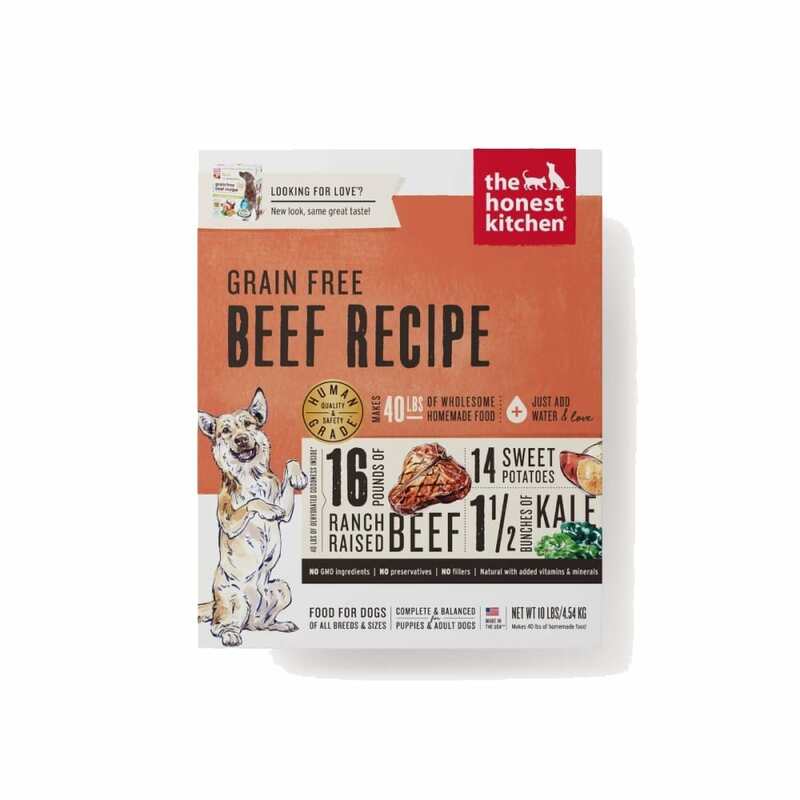 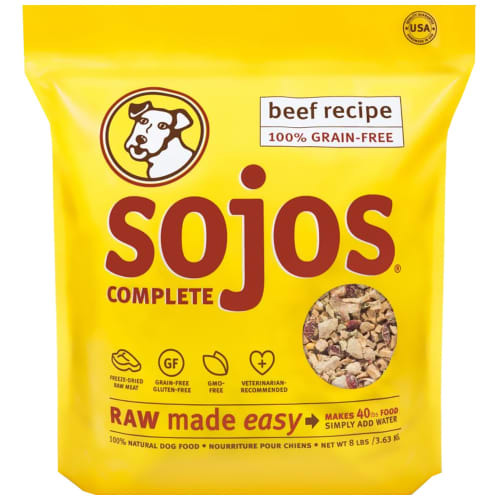 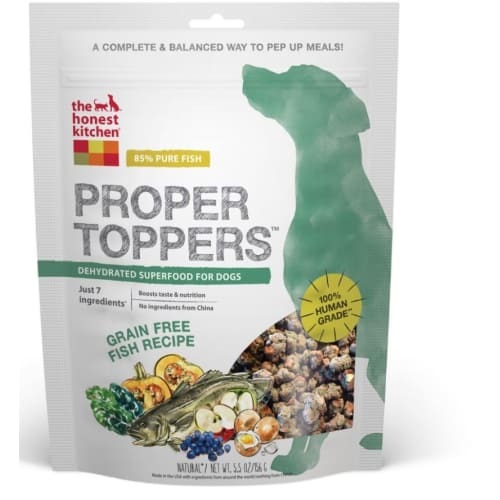 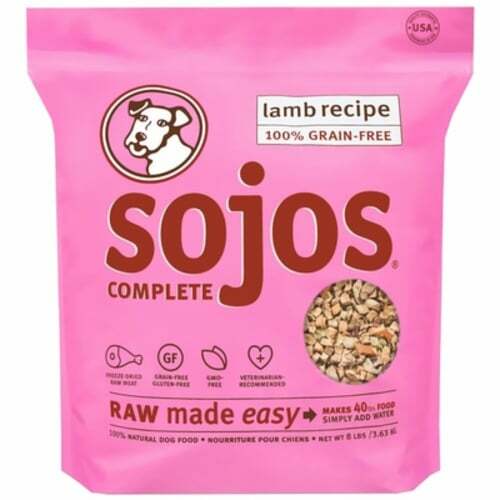 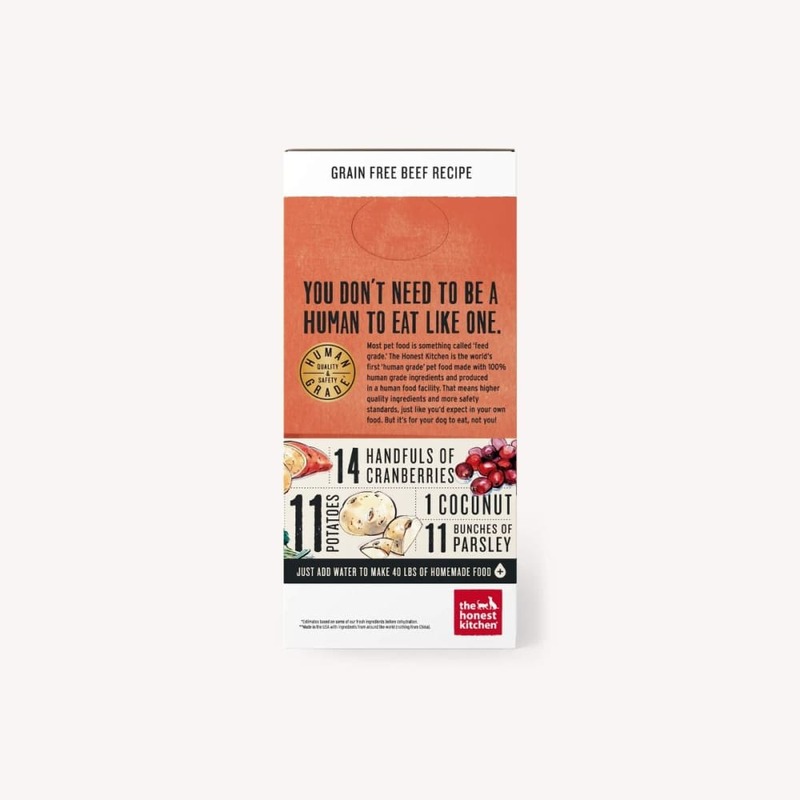 Love grain-free and gluten-free dog food is great for dogs who need a diet without gluten, or those who need a high calorie, low carbohydrate dog food. 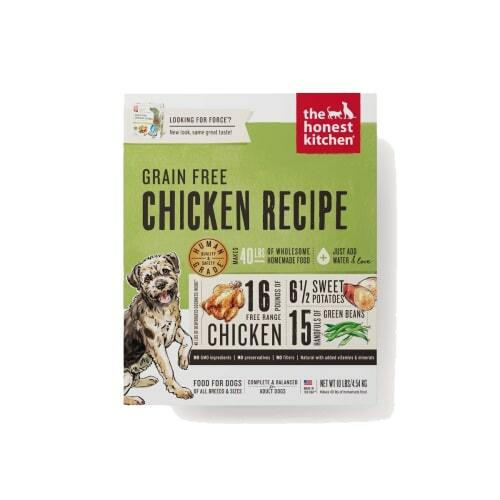 It’s also ideal for dogs who need to avoid egg or poultry. 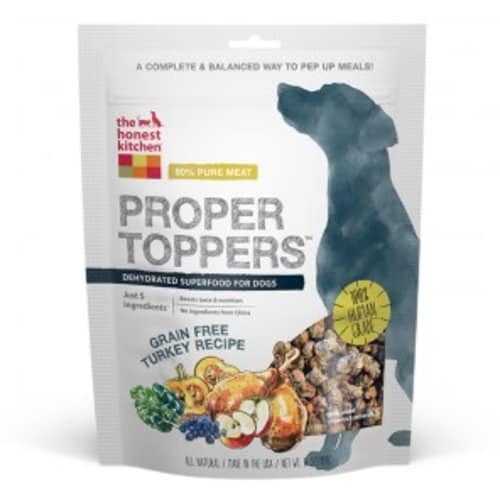 All ingredients dehydrated: Beef, sweet potatoes, potatoes, organic flaxseed, organic coconut, parsley, chard, papaya, cranberries, pumpkin, honey, tricalcium phosphate, choline chloride, zinc amino acid chelate, vitamin D3 supplement, vitamin E supplement, potassium iodide, potassium chloride, iron amino acid chelate, copper amino acid chelate.